Glo Data Calculator is the newest service launched by Glo. This is a free service that will help you as a subscriber run an estimate of data volume that can be used in a month. With this free service, you can calculate the amount of data that can serve you for a month before subscribing to a data plan. You can run a calculation based on how you want to use the data. 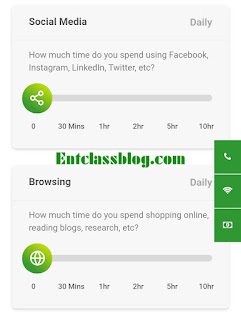 If you are a social media lover, you love chatting or you like streaming musics or videos, then you can calculate an estimate of data volume base on using social media sites, streaming of music, videos, playing online games or sending just emails. 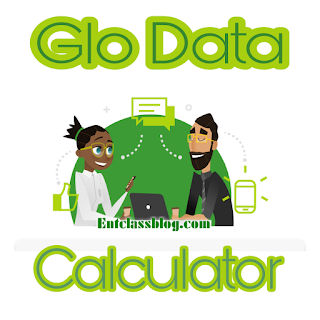 According to Glo, Glo Data Calculator will serve subscribers better by engaging them more on the network and allowing them to determine their data usage and consumption pattern. Glo data calculator also allows you determine the total volume of data needed to use social media, browse websites, download music, stream videos etc within a month. "Under Glo Data Calculator, Glo customers will choose monthly data entries, followed by details of various online activities including emails sent and received per day, and hours of streaming music (Music, Apple Music and others in Minutes/Day) to calculate usage". You will see several options of data usage medium including social media, instant messaging, browsing, videos, music. Now, to calculate the estimated data volume, slide the circle icon from left to right within the lines separated by minutes and hours. Assuming you use social Media 30 minutes and Browse the internet 30 minutes per day, Glo estimated that you need a data volume of 4.03GB for a month. You can drag the icon further to see more estimates. There are also more options as you scroll down. What's your say on this one? but they need to work more on their network coverage . Not a bad idea but it's not very practical. Most people wont use whatever plan it suregets to them, rather they would still subscribe to what they can afford and try to manage it like that.